Around our house, we love having a special meal or dessert on holidays. Unlike at Christmas, for other minor holidays, we don’t take the time to really decorate the house or cook a feast, but I will sometimes make a treat to celebrate the day. Usually on St. Patrick’s Day, we have a traditional dinner of corned beef, cabbage and potatoes, but this year I’m thinking about doing a special cupcake dessert with these festive St. Patrick’s Day cupcake wrappers! 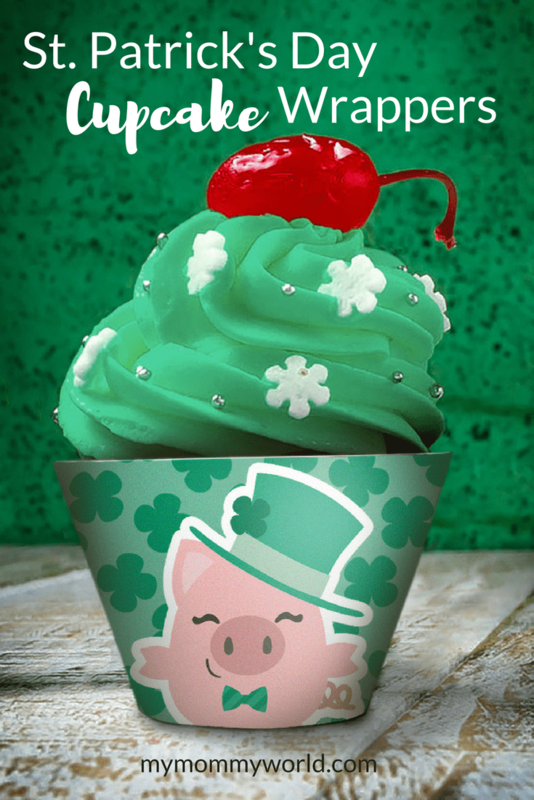 These St. Patrick’s Day cupcake wrappers are free for you to download and print at home. All you need to do is to is to print them on some white cardstock, cut them out, glue or tape the ends together, and slip them over your already baked and frosted cupcakes. Hope you have a wonderful St. Patrick’s Day! What a great idea. They are so cute.